Shadow Game a a 'coming of a age story', an adventure film through Europe with child migrants as our guides. For most children life is a game. But not every game is without risk. Crossing the borders in Europe – The Game – as minor migrants call it, has become extremely dangerous. Within Europe, walls and fences have sprung up, and reaching the final destination has become increasingly difficult. Shadow Game is a 'coming of age' story, an interactive odyssee through Europe with minor migrants as our guides. We make stories because we believe by doing so we can change one's view of the world. Not from black to white or the other way around, but more complex. That there is a ‘refugee fatigue’ among audiences is not a reason to let the subject be, but an extra motivation to step up our game and find new ways to tell this story. In doing so we are focusing on cinematographic power. Shadow game will be a adventurous, moving and confronting film. We also do so by not explictely tell a story of migration or refugees, but by focusing on these youngsters in transition from child to adulthood. It is a story about their search for belonging, identity, their recklessness, frienships, sexual awakaning, dissapointments, defeats and triumphs. In short, identifiable themes for all of us. Durrab (16) at the border between Serve ad Hungary. 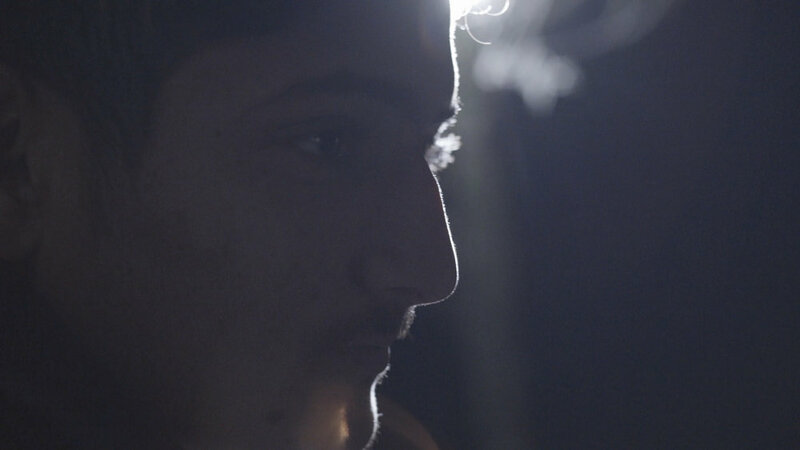 Shadow Game follows a group of minor migrants on their journey through Europe. Fleeing poverty and war, they - and their families - have fixed their hopes on Europe: there it is safe and prosperous, people are kind and respect human rights. But once in Europe, these minors find things aren’t quite as idyllic. Within Europe walls and fences have sprung up. Crossing the borders in Europe – The Game – as minor migrants call it, has become extremely dangerous. Reaching their final destination has become increasingly difficult. ‘Prison Island’, ‘The Pass of Death’ and ‘The Talking Fence’: on their journey through Europe these youngsters face obstacles of mythical proportions. 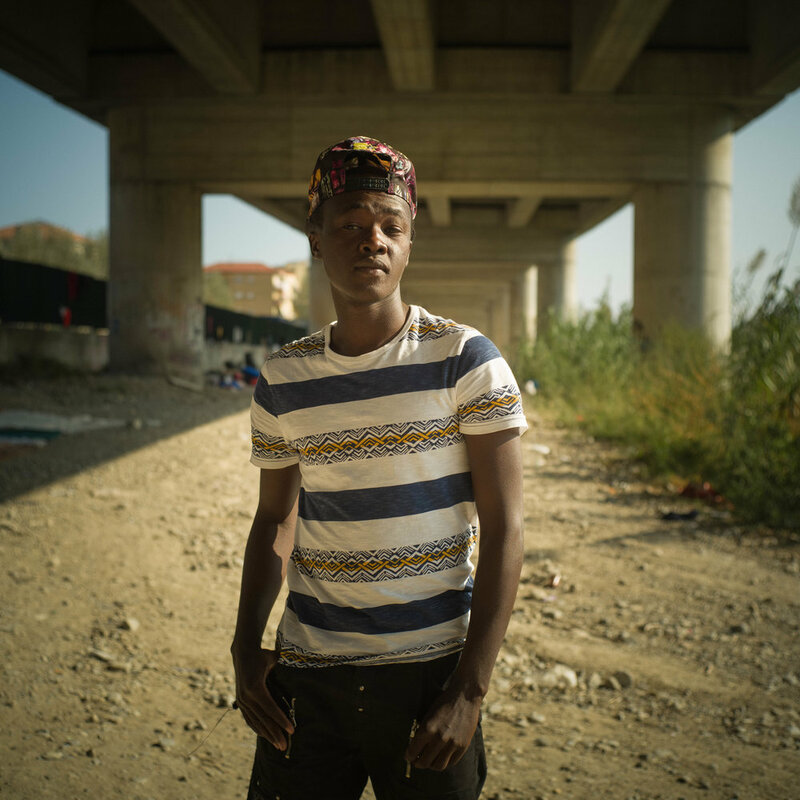 On these various ‘game levels’ in Europe, we meet our main protagonists and dive into their world: Asif from Afghanistan, Pakistani Ali and Durrab in Serbia, a group of Sudanese friends in Ventimiglia, the Nigerian Hope in Palermo and the Syrian Adam on Lesbos. We follow them in their daily lives, where they survive in illegal labour, try to break the next dangerous barrier in their journey or are about to give up. But they are also children, who play, have fun, and even make crossing the border into a ‘game’. Their journey is dangerous, but also an exciting adventure. They are vulnerable, but also determined and fearless. In search of a better life, they keep trying; their hope is bigger than their fear. But in this game of chance, what are their odds? Fiaez (17) from Soedan is trying to cross the border between Italy and France. Shadow Game consists of a feature length documentary film, a mobile game and an interactive web documentary series. The overarching theme is coming of age in extreme circumstances. The film tells a mosaic story of several different characters. It has an adventurous feel, visualising their odyssey, their hopes and dreams. Film has – as no other medium – the power to immerse the audience in an unknown world. But the film stops at a certain point, leaving the audience wondering what has become of the child migrants. Where the film ends, the web documentary continues. It can be watched independently from the film, but also functions as a follow-up and background story of the characters. In the interactive web-documentary we want to involve the viewer more, among others by gradually confronting him/her with their own role: are they just voyeurs or do they take action? With their ongoing attempts to cross the border into their next destination country, these kids take enormous risks, climbing over mountain ranges in the middle of the night or walking on busy highways. Many fail, some get injured and some even get killed. Yet, they keep trying on a daily basis. This never ending struggle reminded us of the game Frogger, where a bunch of frogs try to get from one side of a river to the other, facing all kinds of obstacles. Some make it, others don’t. And the game goes on and on. With the game we take interactivity one step further: it turns viewers into players, forcing them to follow the rules, which makes confrontation inevitable. The Pass of Death, Prison Island, The Minefields, and the Talking Fence. This invisible Europe forms the playground of Shadow Game: not the Europe where everyone can travel freely, but the Europe that closes its gates. Each ‘world’ has its own gameplay, and perspective. But they are all based on the mechanics of a simple mini-game: an obstacle-run or clicker game. Can you guide the frog safely to the other side? Which route do you take through the minefields? And where would you put the fence? As a player you are confronted with different perspectives, from the migrant, to the helpers to Europe. The game can be played alone, but can also be used as a conversation starter in both educational and festival settings. We also make a photography project together with Cigdem Yuksel, winner of the prestigious Canon Silver Camera award. In the project Cigdem will mostly focus on the development of the identity of these adolescents. Shadow Game is a co-production of Prospektor and Witfilm. Eefje Blankevoort (1978) and Els van Driel (1976) have collaborated on several film and crossmedia projects on the theme of migration, such as The Asylum Search Engine (De Asielzoekmachine, 2016) and the film The Deal (2018). They also share a lot of experience in working with minors. Sara kolster (NL, 1978) is an interactive director specialized in digital storytelling. As an independent maker she realizes interactive stories such as the award winning Virtual Reality Drawing Room (2015, IDFA Doclab Award), mobile messagingdoc A Temporary Contact (2017, VeryVeryShort), web documentary Love Radio, (2014, IDFA Doclab, Zilveren Camera) and interactive video Hidden Wounds (2013, IDFA Doclab, Reflecting Images 2013). Prospektor is a journalistic production agency founded by Eefje Blankevoort and Arnold van Bruggen. 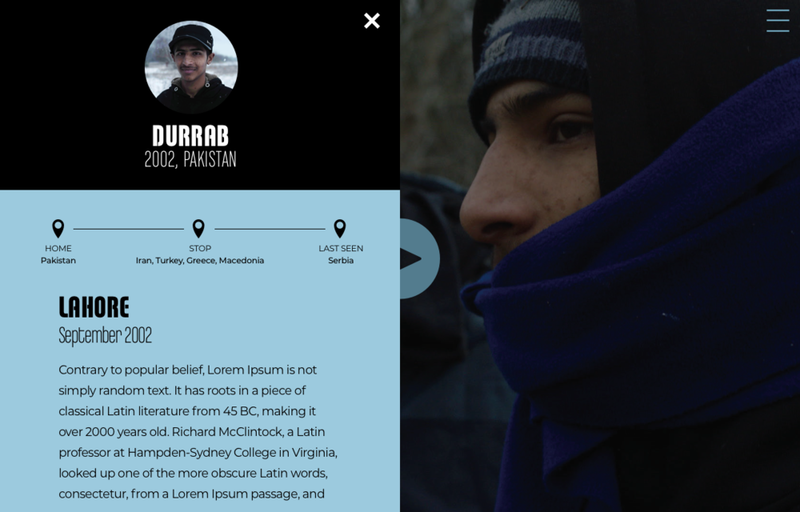 Prospektor creates (multimedia) documentaries, exhibitions, books and social impact campaigns. Witfilm is the production company of director Boudewijn Koole (a.o. Beyond Sleep and Little Bird) and producer Iris Lammertsma. Witfilm focuses on creative, social and youth documentaries, its key assets being concept development and intensive counseling of filmmakers, resulting in innovative, visually powerful films of artistic nature dealing with subjects that are thoughtprovoking at all times. Witfilm (co) produces both nationally and internationally.